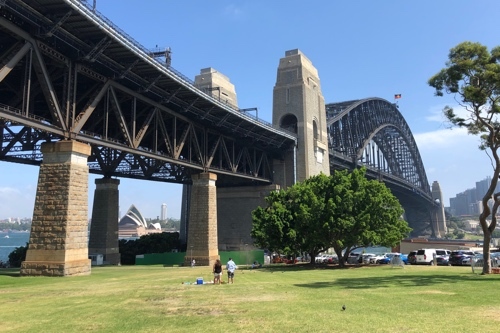 We had a family picnic at Milsons Point today. The afternoon breeze was a beautiful, welcome change from the heat from this morning. The view was also rather fabulous, as too were the company and food! I’m also finally recovering from my latest medical adventure too; most importantly I can breathe again without sounding like a wheezing chain-smoker. Granted it’s with puffers every couple of hours, but baby steps.